Today I am sharing with you a Guest post from Joette. She has been an amazing support of the Love Notes Post Card Project and through the project has made a friend. Below are my questions to Joette and her responses. I live in a rural community, of about 10,000, in southern Minnesota. I have lived here all of my life. What is your most favorite thing about where you live? I have 2 top favorites--my mom, sister, and 2 nieces live in Waseca and I see them often. Also, my favorite thing is the location where I live. My husband built our house, our son helped, and my dad did the cement work so there are fond memories of our house from the start. Our backyard looks out over the lake and we have birds and wildlife and a peaceful view. I love sitting outside in the screened in porch drinking coffee. It is a perfect place to journal or be creative. What are the top three things that you enjoy most in life? My family, friends, and photography. 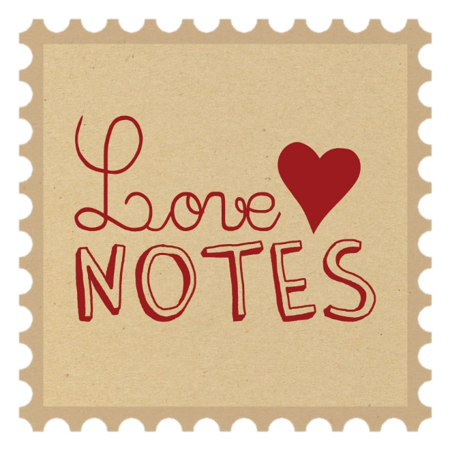 What peaked your interest in the Love Notes Post Card Project and made you say yes to give it a chance? Two years ago, December, 2012, you were the guest post on Vivienne McMaster's website. I have taken some of Vivienne's online classes on self-portraiture and she is amazing! I love reading her posts and seeing her amazing photography. Vivienne wrote that day that she loves your project and "what arrives in your mailbox these days--bills, junk, coupons. When was the last time you were excited to get the mail?" Well this was so true! I wandered on over to your website and read more about the project and signed up! I was a little nervous but excited to give it a try! What is it about the project that keeps you coming back? Connections with people from all over. Creating postcards and notecards for them. Getting their creative postcards and words in my mailbox. It fascinates me how each of us respond so differently to your prompts. Sometimes we share more than just the prompts you give us. Writing out my postcards and mailing them. I am still in contact with some. Each time is a new adventure! Who knows, one day maybe I will have written to someone in all 50 states and other countries! Let's say you were sitting with a friend telling her about it, what would you say? I would share my stories about the people that I have met and their creative postcards I have received. I would tell her that sometimes you make a connection with who you are paired with and you keep writing, whether it be occasionally postcards, or stay in touch on facebook, or continue writing. I would share with them the enjoyment of sending out my postcards to them and making them postcards or my photo cards. You have developed a connection through the project, how did this connection with Carolyn unfold? When I do the post card project, I tell my partner about where I live and a little about myself and I share my interests, besides doing the prompts. For some reason, I cannot do just the prompts! I enjoy doing them but I want to tell them more! You always tell us to write from the heart and that there is no right or wrong way. Because of your words, it encourages me to write the way I know how to - beyond just the prompts. Carolyn commented when I had written in my last love notes writing that I like to, and enjoy, writing letters to friends and family. She told me she likes to write letters too. She reached out and asked in her writing "Would you like to continue?" Those simple words started a friendship - it made a connection between the two of us. I am so thankful she asked! I had thought about that possibility with Carolyn, and with others, but was never brave enough to ask because I was afraid the answer could be no. Carolyn was brave enough to ask even though she wasn't sure of what I would say. So that is our story and how our friendship began. It was serendipity! What have you enjoyed most about writing to Carolyn and what have you learned? I have learned and enjoy discovering the many things we have in common...we each have a son and a daughter and are both empty nesters; we both have been married a long time; we both love the movie "You've Got Mail"; we both love quilts -- she quilts and I collect them and want to learn to quilt one day; we both keep travel journals; we both have our creative space in our home; both of us are creative; we are both oldest siblings; she makes amazing handmade, unique cards, and she inspires me to create a card for her when I write her; our letters to each other are chatty. I enjoy how joyful it is to get and read her letters. I enjoy how she inspires me to be more creative with card making. I have learned that you can sense kindness from what a person writes and how you know this is someone you could be friends with long distance. I enjoy getting her incredibly creative cards in my mailbox and her handwritten, long letters. We enjoy sharing thoughts, ideas, creativity, projects, and our lives. Someday we will meet! How do you feel when a note from Carolyn arrives in your mailbox? Excited! It makes my week! I cannot wait to read her long letter and see the card she created for me. I go back later and re-read her letter to be sure I haven't missed anything. And I cannot wait to sit down and answer her letter and share my life with her. I re-read her letter again as I write her back. It is another chance for me to share my photography with her or create a card for her. I am so happy that I read Vivienne's blog that day back in December of 2012 and you were the guest post. I am so loving your Love Notes Post Card Project and appreciate your hosting this for all of us that choose to participate. Thank you for this gift! It is so wonderful receiving mail in your mailbox and the excitement of what will the card be like that they made for you, sharing creativity, and sharing words with each other. I enjoy your posts on your website. You are such a gifted writer. You inspire me. Another round is right around the corner, starting June 15th. You won't want to miss it. Click here to learn more and sign up!